On behalf of the Quartermaster General, and as the President of the Association of Quartermasters, I would like to personally welcome you to our web site. We are diligently working this area of our outreach program and are excited to bring you new information via this format in the near future that will benefit the organization and our members. Feel free to contact us with any comments, concerns or suggestions that you may have. 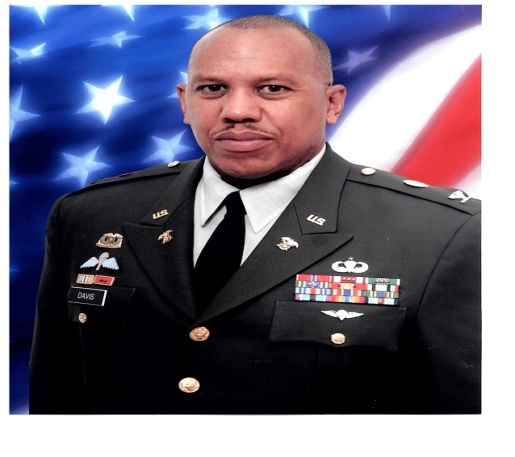 Colonel Alexander (Big Al) Davis provided over 27 years of faithful and dedicated service to our Army and our nation in a variety of Multifunctional Logistics assignments around the globe. He was a humble spirit, a tower of strength and a tenacious family man for his wife of 25 years, Karen F. Davis, and their two daughter, Alexis (Nikki) and Aaren Davis. He was the cherished and beloved son of Dorothy Davis and the endearing brother of Joyce Davis and Alexis Davis, all of Hampton, Virginia. He was preceded in death by his father, Alexander Davis, Sr. and a sister Carol Davis. Big AL was a lifetime member, President, and staunch supporter of the Association of Quartermasters (AQM), who dedicated countless hours to raise funds for the AQM scholarship program. On 4 December 2013, the AQM executive board unanimously agreed to rename the scholarship program in honor of Colonel Alexander (Big Al) Davis.